When people think of economy cars, they tend to think of boring runabouts for people who hate driving. This is often the case with hybrid and electric cars like the Toyota Prius and Nissan LEAF. However, we have seen that environmentally friendly cars don't have to be boring, with the Tesla Model S and the Porsche 918 on the extreme end of the scale. We decided to compile our top five economy cars that are also fun to drive. We based our criteria on cars that could get over 40 mpg and excluded pure EVs because that is a very different list. If this list had to be whittled down to just one car, the Porsche Panamera Turbo S E-Hybrid would be the clear victor. Porsche has completely proven that hybrids do not have to be boring. 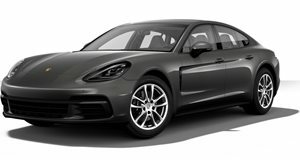 The Turbo S E-Hybrid is a new variant in the Panamera lineup for this year. The car has a 4.0-liter twin-turbo V8 mated to a hybrid drivetrain for a total of 680 hp and 626 lb-ft of torque. This is the fastest Panamera variant with a 3.4 seconds to 60 mph time and the fastest with a 193 mph top speed. Although official US fuel ratings have not been revealed, it is estimated it will achieve over 40 mpg combined. This car proves that Porsche has some of the best engineers in the world. The Panamera may be the perfect hybrid for enthusiasts, but its nearly $200,000 base price isn't exactly reasonable. 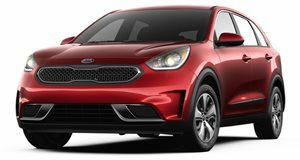 That is why have included the Hyundai Ionic and Kia Niro corporate twins. We recently had the chance to test the Niro for a week, and we would highly recommend it over a Toyota Prius. Neither of these cars is particularly fast, but with 139 hp going to a six-speed dual-clutch, they can both blow the doors off of a Prius in terms of performance. Zero to 60 takes 8.7 seconds, which is far superior to the Prius at 10.5 seconds. The most efficient versions of these cars can get well over 50 mpg, without the soul-crushing driving dynamics of the Prius. Thanks to Dieselgate, the US has lost many of the fun diesel cars that were starting to gain a bit of market share. Few diesel engines are getting approval in the US today, but BMW still sells one of our favorites, the 328d. 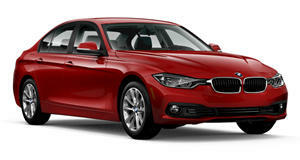 This version of the 3 Series comes with a 2.0-liter turbo-diesel with 180 hp and 280 lb-ft of torque. Unfortunately, there is no manual available, but you can get the 328d as a wagon. This car is able to achieve 31 mpg city and 43 mph highway, making it a fun-to-drive car that is perfect at taking long highway trips. A seven second 0-60 time may not be great, but diesel cars are all about torque and great passing power rather than sheer speed. BMW has managed to make our top five list twice. The BMW i8 is not one of our most loved sports cars, but when ranked among economy cars it is by far one of our favorites. This sports car is only able to achieve 28 mpg when using its 1.5-liter turbocharged three-cylinder engine. However, when combined with the electric motors, the car is able to achieve 76 mpg equivalent. 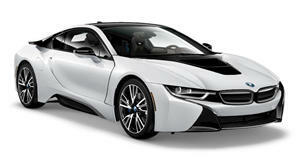 We still think that the i8 looks incredibly unique, and its 357 hp is not bad for a sports car. Zero to 60 takes just 4.4 seconds and the car can even run on electric power alone for 15 miles, which is better than most everyday hybrid cars. The final car on our list is the only normal gas-engined car. The Honda Civic does not need to rely on a hybrid system or diesel engine to get up to 32 mpg city and 42 mpg highway. 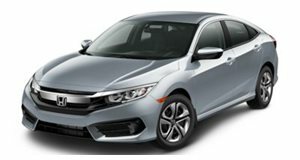 We prefer the Civic hatchback, which only comes with the 1.5-liter turbo engine and sacrifices one mpg in the city and two mpg on the highway. We'd be willing to make this sacrifice for the 174 hp engine over the 158 hp base 2.0-liter engine. We'd equip our Civic with the optional six-speed manual and enjoy this nicely balanced car with excellent fuel economy.